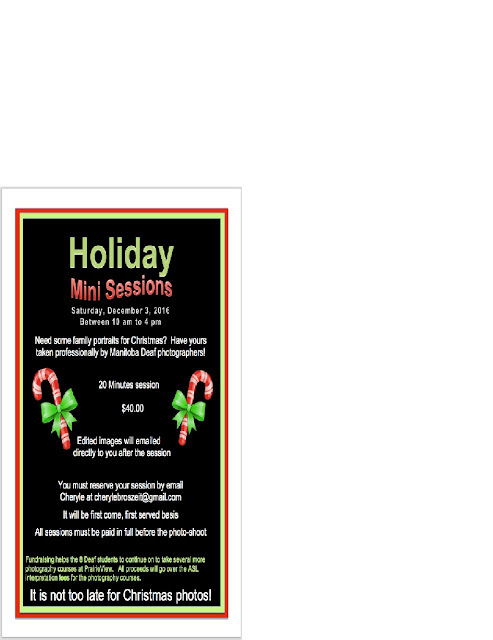 Deaf Centre Manitoba Inc.: Need Holiday picture? Mini Photo Session is now available for one day only! Need Holiday picture? Mini Photo Session is now available for one day only!